When I think of decorating my home for Fall and Winter I first think of ways I can add texture to each room. 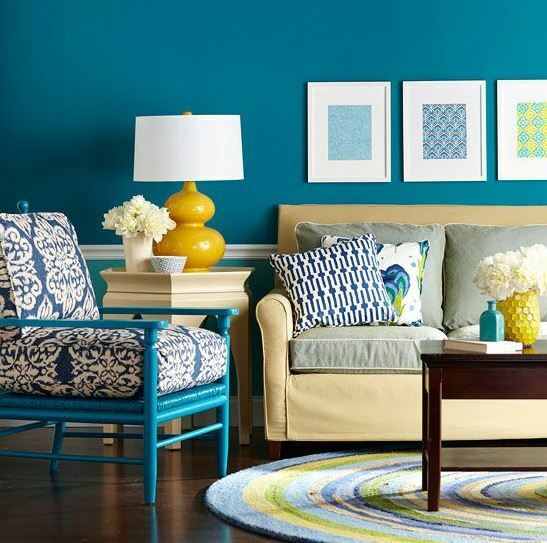 While color and pattern are usually our first thought when decorating a space, adding texture to a room adds dimension and even more interest. Think of the feeling you want your room or home to have and add textured items to convey that feeling. Flooring. Area rugs are an easy way to add a lot of texture to a space especially if you have wood or tile flooring. I love the look of hard wood floors but let’s be honest, they aren’t cozy. Adding a large area rug adds interest and comfort to the floor and defines the space. Walls. Exposing wood, brick, concrete or rock on an inside wall gives the space a surprise texture and a great focal point. Because of texture and interest you don’t need to have anything else on the wall. Depending on the look you are going for exposed beams and ducting is also another option. Pillows. Throw Pillows are a quick and inexpensive way to add texture to any space. Since it’s a small item you can go bold and add fur or some other element you wouldn’t traditionally use on a larger piece. Throws. 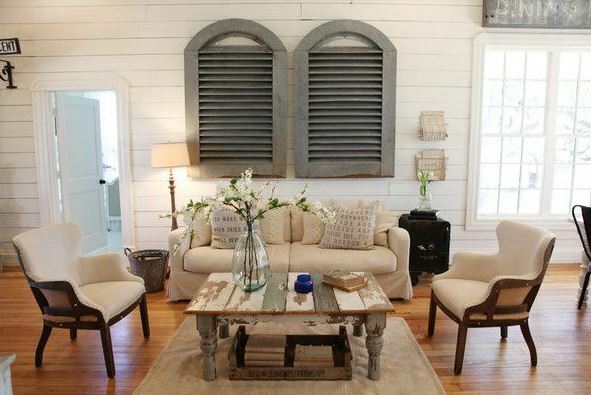 Another way to add quick and inexpensive texture to a room is to add a throw over a piece of furniture. I can never have too many throws available in the cooler months. Who doesn’t like a big cup of cocoa, a good book, and a cozy throw? Furniture. There are so many different texture options when it comes to furniture. Just in this photo alone there are different types of wood, plus glass, brass, leather, tweed. There are also many options when it comes to fabric. I am really loving the softness of velvet right now, but I love the tailored look of tweed too. There’s so much to look at and so much texture in this room but it still feels peaceful and pulled together well. Wall decor. 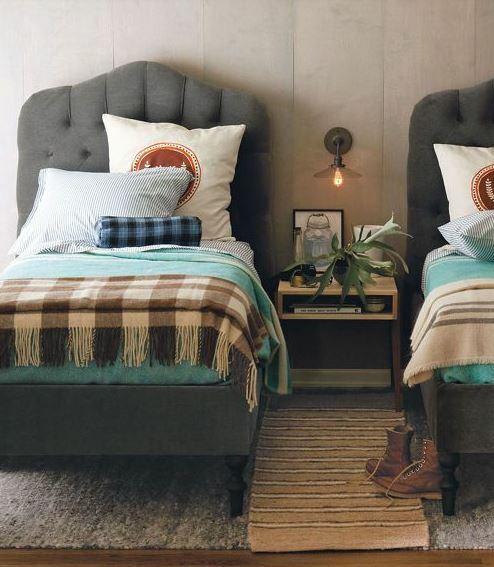 The options are limitless when it comes to adding texture with wall decor. You really can’t go wrong with weathered wood right now or anything with a weathered patina. Obviously it doesn’t have to be a painting or a piece of art to become wall decor. Anything that appeals to you and adds interest to the space would be considered wall decor or art. Accessories. Just a few accessories can add texture and interest to any room. A wood bowl, metal chairs, gold mirror, silver chandelier, pillows, and glass jar make this room feel comfortable and cozy even though it’s not overly decorated. 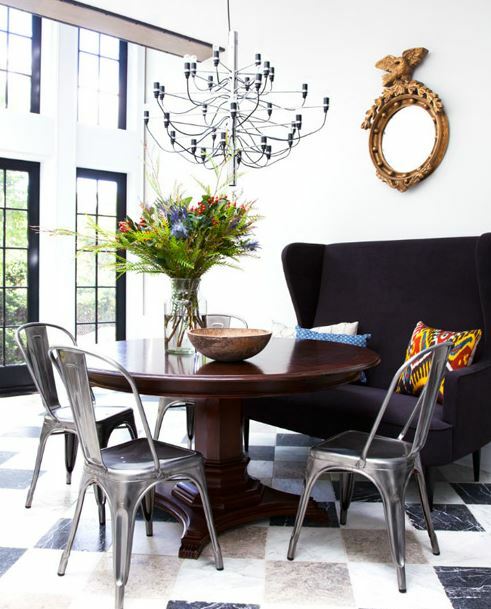 This space appeals to me so much, I love the contrast of all the pieces. Natural elements. 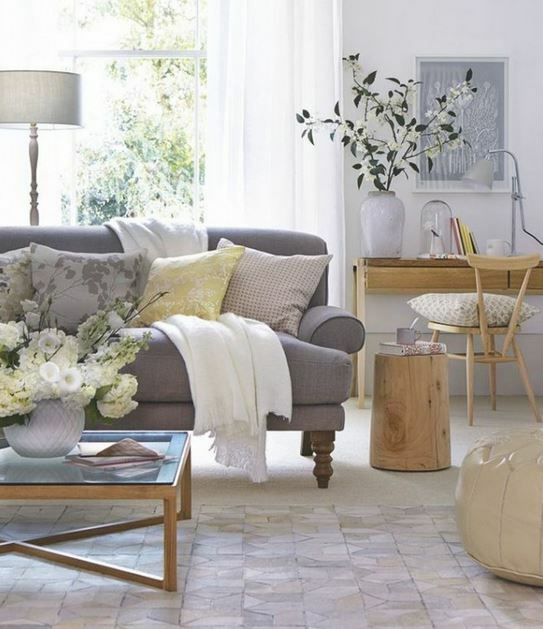 Bring the outdoors in for inexpensive and beautifully decorated spaces. Get creative and use some of the things you have in your backyard to beautify and cozy up your home. My favorite things to decorate with are tree branches, but pumpkins are always a favorite for Fall. 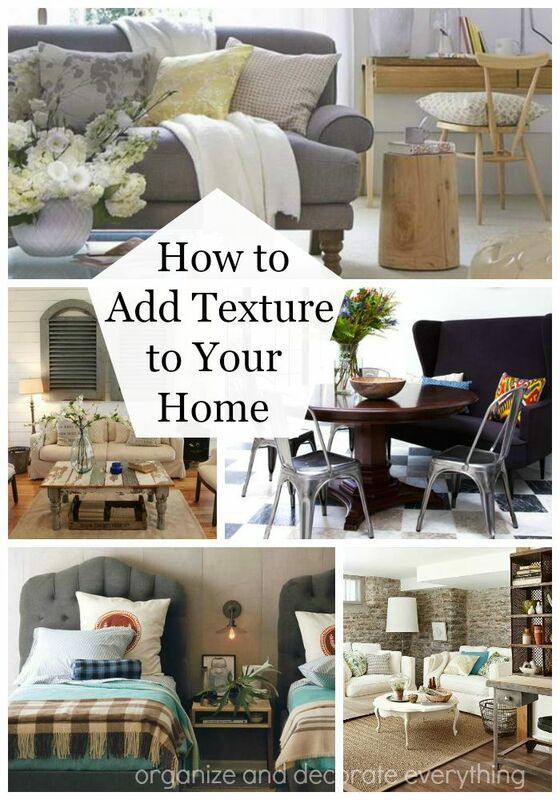 What are your favorite ways to add texture to your home?